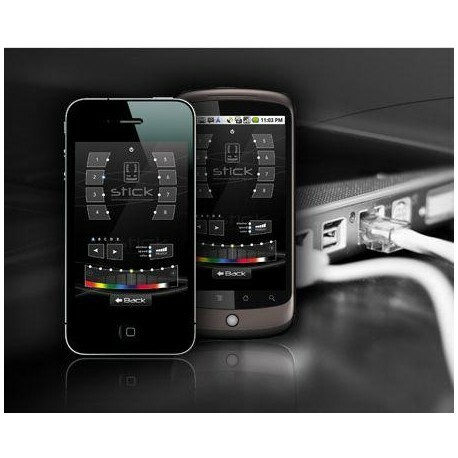 Network Add-on & IR remoteThe STICK COM+ package allows you to connect your STICK-KU1 to your local network and control your lighting from your Apple iPhone, Google Android Phone or Windows Mobile Phone. The package also includes an official STICK infra red remote control. 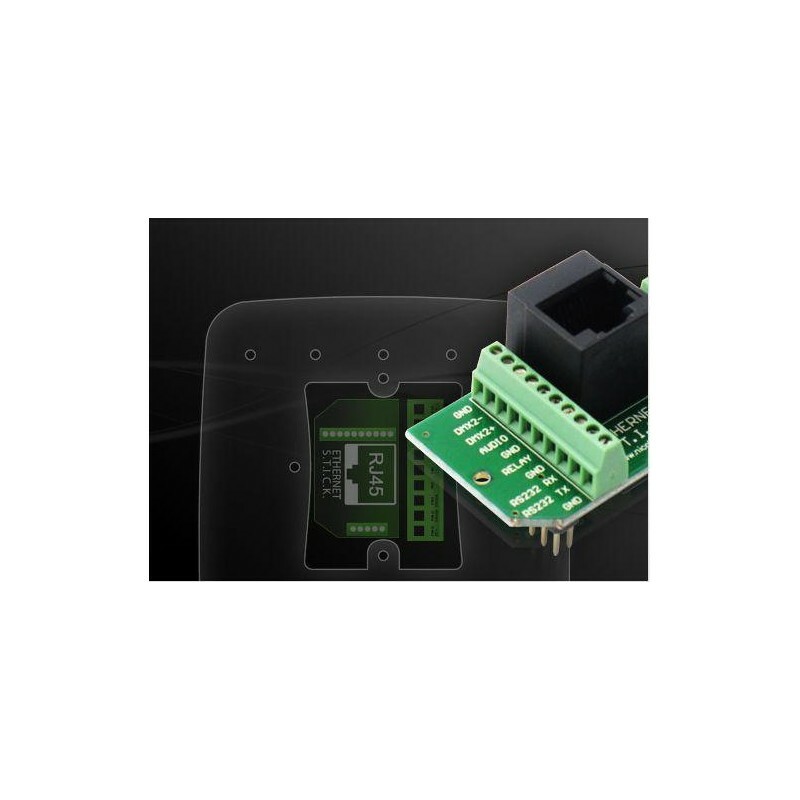 The STICK com+ package includes an Ethernet network add-on, allowing you to connect your STICK-KU1 to a Local Area Network (LAN). 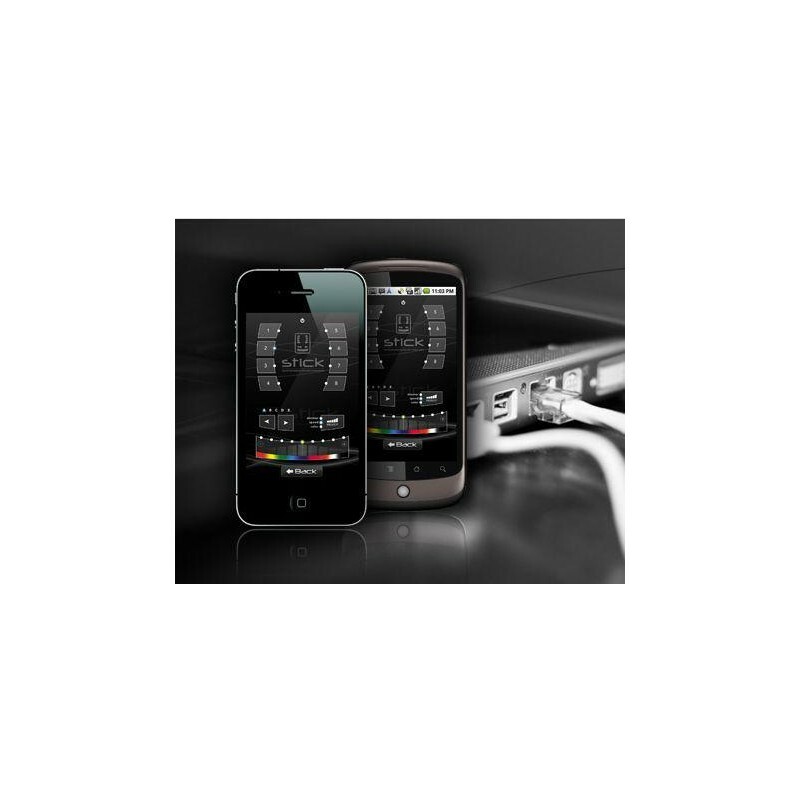 Once connected, you can download one of our STICK-KU1 remote control apps to your Apple iPhone, Google Android Phone or Windows Mobile phone and control the STICK-KU1. Simply clip the add-on into the rear of the STICK-KU1 and then connect to your local network with an Ethernet cable. The STICK-KU1 is still small enough to be mounted into a single or double gang socket. The package also includes an official STICK-KU1 IR remote.